The first time I fainted, I was thirteen and I passed out halfway between the kitchen and living room of 4 Ihuo Street, Port Harcourt. It was a Sunday and Daddy had just come back from Igarra. The second time I fainted, I was thirty-seven and at a dental surgery in Port Harcourt. I fainted because I’d been working all morning and had simply not eaten. I was hungry. 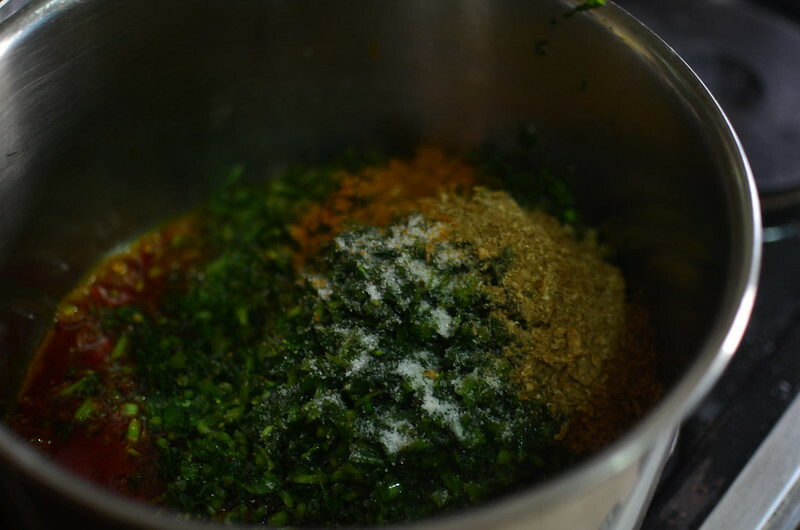 Amala – a cooked meal of yam or plantain flour always reminds me of that day. Amala, especially the sort made from dried and milled unripe plantains always remind me of Daddy – it was one of his favourites. Not only did he enjoy the flavour, but he enjoyed making his…from scratch. By making I mean the whole shebang – buying the plantains, peeling them, slicing them, drying them and having the result milled. At thirteen, I, we – brothers, sisters, cousins – we knew how to process plantains and yams for flour. Everytime Daddy travelled, we had one thing or the other to process when he got back – snails by the dozen, plantains, yams, fruit – oranges, pineapples. I can’t remember what we’d done on the Saturday before, why I hadn’t eaten at past noon when he returned. I remember wearing a dress. I remember heat, sweat, the feeling of wooziness just before I fell. We’d brought things down/ out of the car and were putting them away. Maybe I was overwhelmed at the sheer amount of work there was to do (my children have no idea how little they do…), maybe I was hungry, whatever I know I gave my father a good shock. When I came to, I was in my bed – the bottom half of a bunk bed. I mumbled something about not eating and I can’t remember what they gave me. Might have been custard, might have been Amala & Edikan-Ikong, one of daddy’s favourites. Ladies and Gentlemen – my recipe for Sunday Lunch. 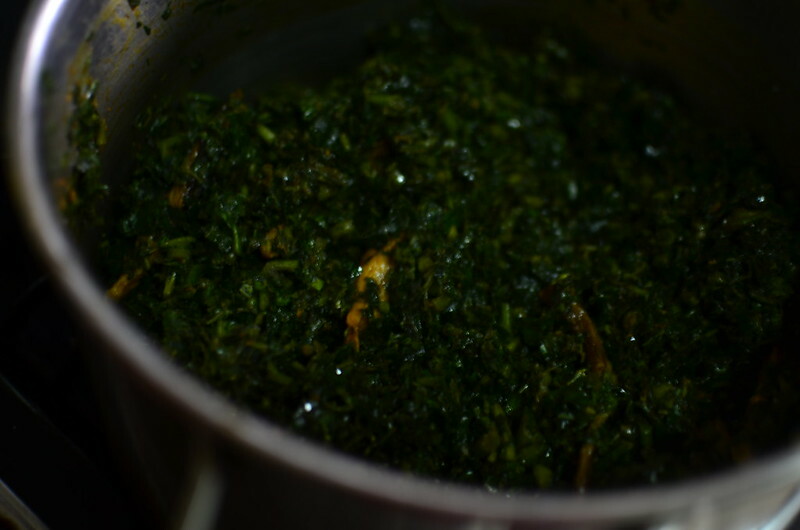 Now, I haven’t called this ‘traditional’ Edikan-Ikong soup lest purists come at me. 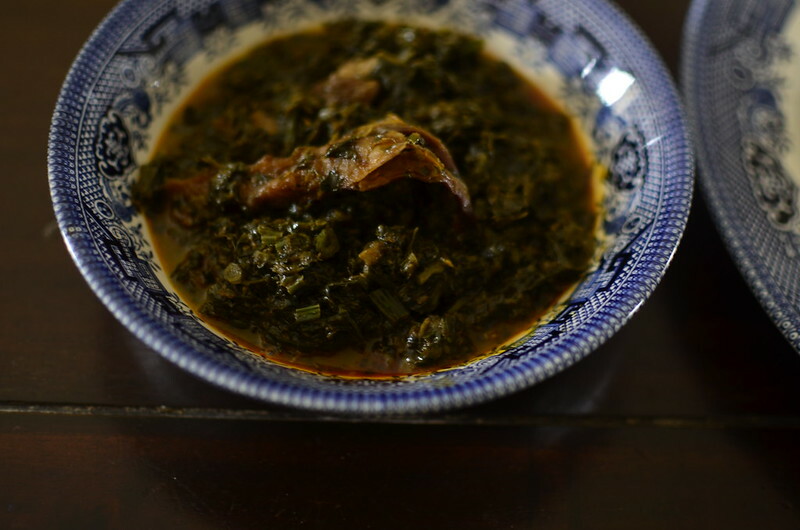 One because the cooking method – frying the water leaf might be unusual. Truth is, a friend of mine – full Calabar babe, taught me this method after I complained of watery vegetable soups. 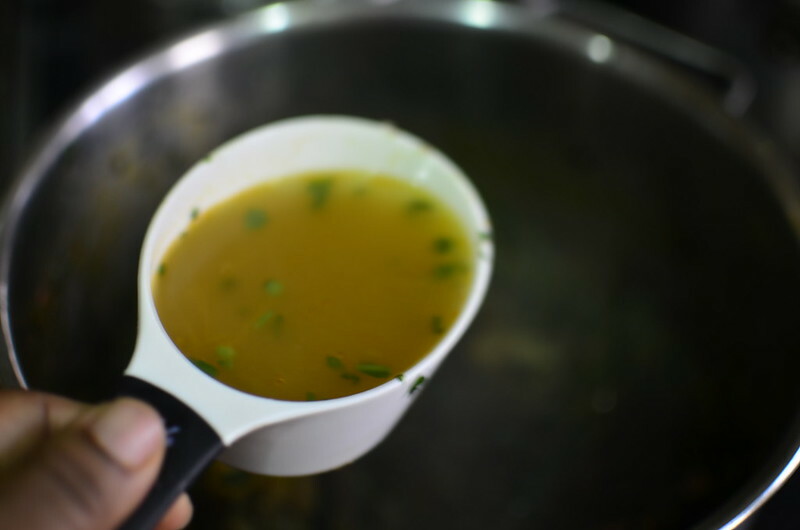 See, this soup should have moist, cooked greens that are juicy but not swimming in liquid. This method accomplishes that and for me…that’s all that matters. But I also think on the science of emulsification – a mixture of two fluids which normally don’t mix – oil and water or a case in which one liquid is suspended in another. 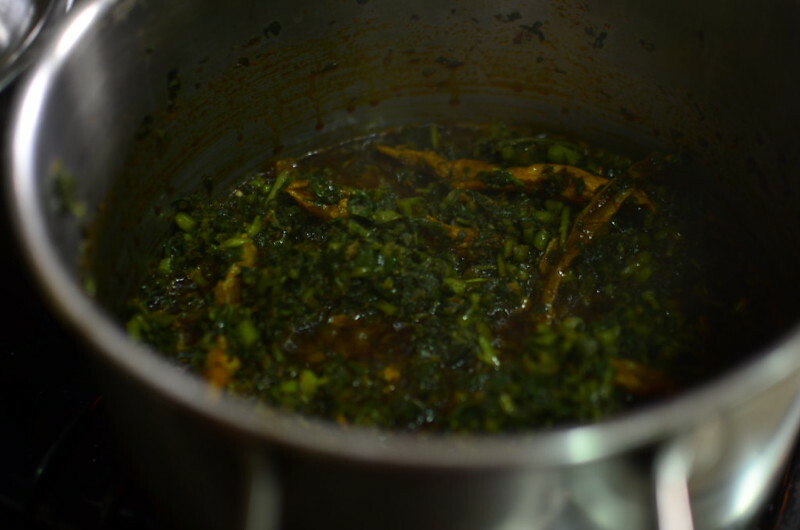 In this case, the liquid from the watery, spinach-like water leaf is suspended in the orange-red of the palm oil. The result is silk for mouth-feel and creaminess when cooked this way.